I hope everyone had a wonderful Christmas, and if you don't celebrate Christmas, I hope you had a nice holiday/break! 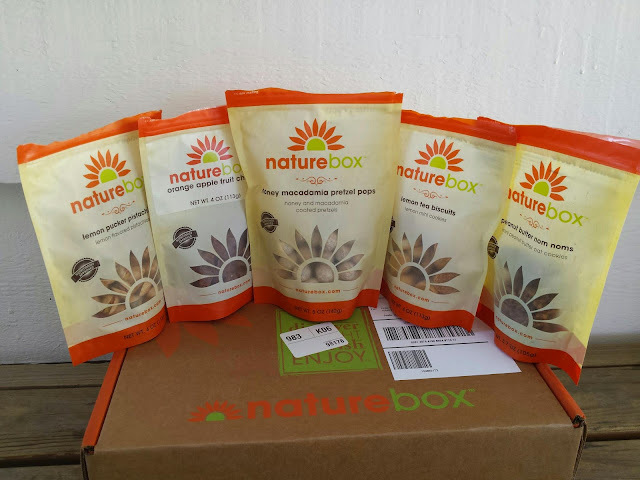 For today's post, I have my December Nature Box review! I made sure to try some items I haven't had before so there so nothing would be too repetitive. Let's take a closer look! 1) Lemon Pucker Pistachios - If you like sour lemon flavor, then you will love these! These really will make your lips pucker. The lemon flavor is intense, but not overly lemony and it pairs well with the pistachio flavor. It isn't salty either so it makes for a cleaner tasting snack. I could see myself ordering these again. 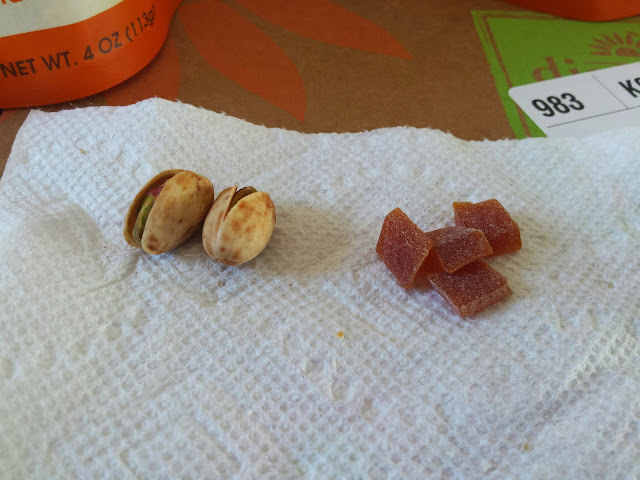 2) Orange Apple Fruit Chews - These are the same in texture as the Watermelon fruit chews I've had before. The orange flavor is a bit more predominant than the apple, but overall, you can't go wrong with this treat. If you're a fan of fruit snacks, then definitely give this a go. 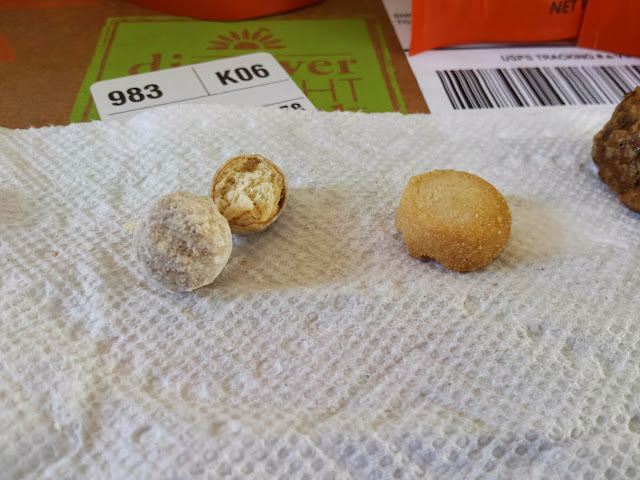 3) Honey Macadamia Pretzel Pops - I enjoyed this one quite a bit, but I couldn't really taste any of the macadamia nut in it. It reminded me a lot of the Salted Caramel Pretzel Pops where they had both that salty and sweat thing going on so I would either stick with one or the other. Flavor wise, I couldn't see much of a difference. The shell coating on the honey macadamia one felt a bit harder than the salted caramel ones. 4) Lemon Tea Biscuits - I didn't order this one, but it was given to me as a filler for another one that ran out of stock. 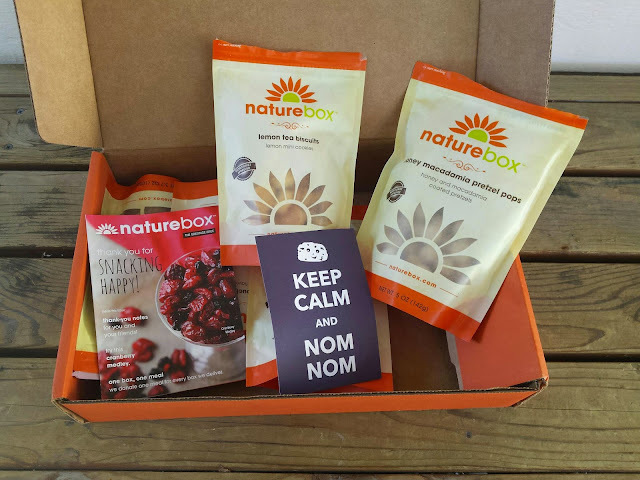 I wish when that happens, Nature Box can notify you so you can pick something for yourself. These weren't bad, but I wouldn't pick them again. It is a nice sweet lemon flavored biscuit I can see pairing nicely with some black tea, though I wouldn't select them for myself. 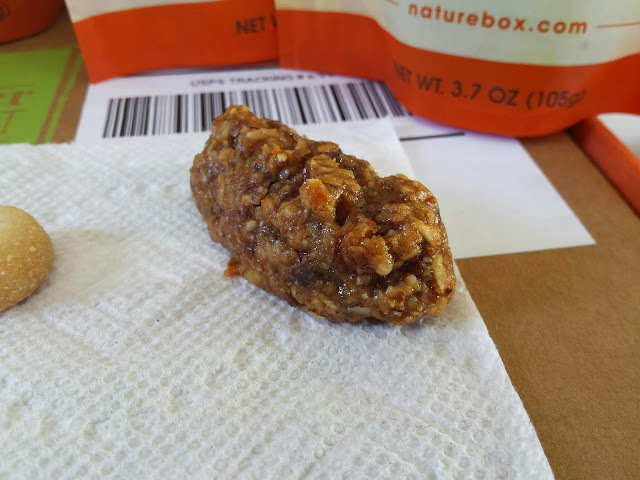 5) Peanut Butter Nom Noms - I was definitely expecting more peanut flavor out of this one. The peanut flavor was mild and I felt like the cinnamon in it stood out more. I love the texture of this and the oats throughout but I will probably stick to the Dark Chocolate Nom Noms more.